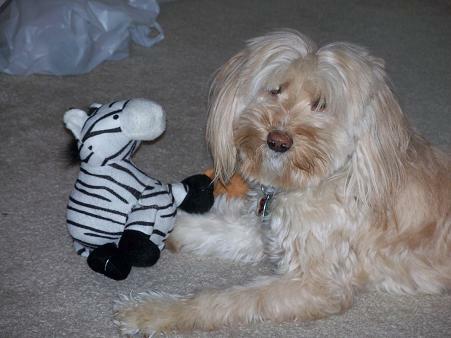 Charlie was holding his zebra toy lovingly and licking its face. It was too funny; it looked like they were making out. But when I grabbed the camera, he stopped and just stared at me like I was a peeping Tom. Heh. 41kb generated in CPU 0.03, elapsed 0.1942 seconds. 47 queries taking 0.1755 seconds, 196 records returned.